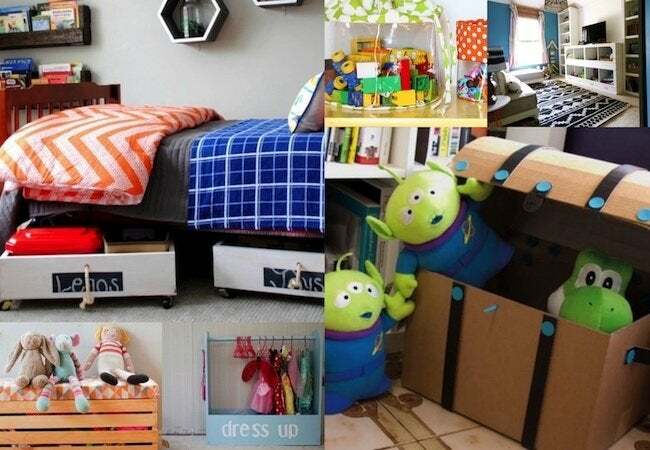 Reclaim your home—and your sanity—with a dozen toy storage ideas that you don't have to be an expert to DIY on the cheap. It’s like walking a minefield: In all directions, you’re surrounded by stuffed animals, remote-control cars, action figures, dolls, books, blocks and video games. It’s time to take action. It’s time to corral the kids’ clutter once and for all! Fortunately, you’re not facing this challenge alone. 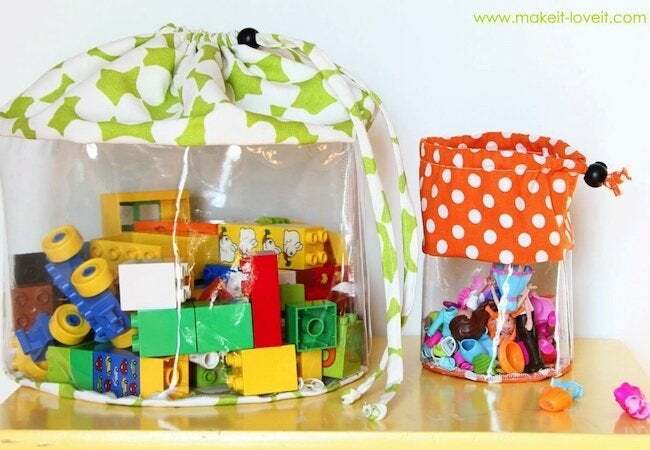 Countless parents past and present have faced and overcome the very the same challenge with toy storage ideas like the following featured favorites. 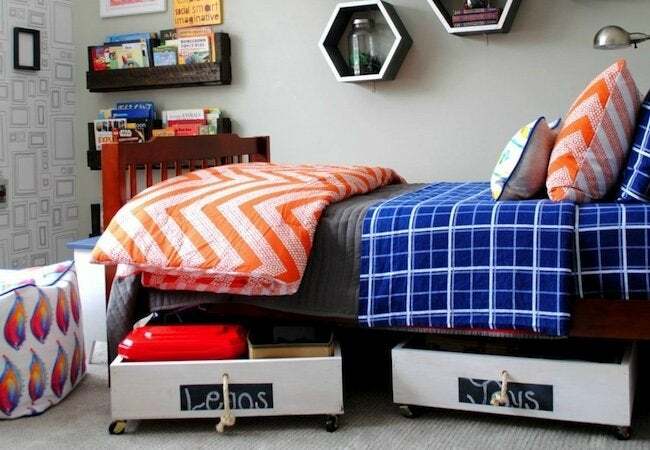 Plywood, wood planks, and caster wheels—those are all the materials you need to assemble this space-smart, under-the-bed storage solution for toys. Rope pulls make the rolling bins effortless to access, while chalkboard paint labels ensure you can always identify which bin holds what. Start here. 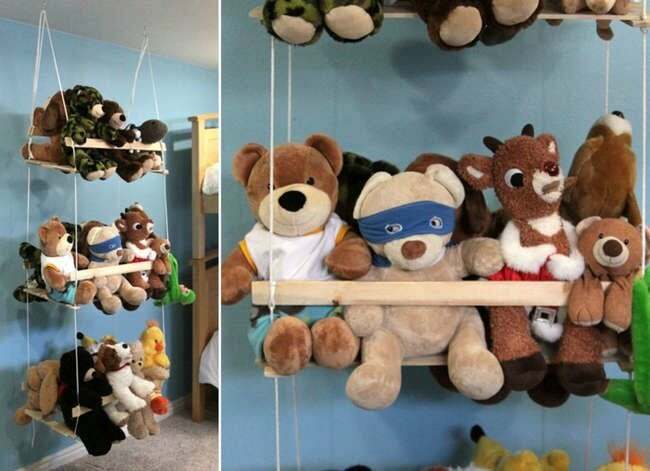 Give stuffed animals a home all their own with this clever, three-tier hammock designed to hold the whole gang. All you need: precut hobby wood, lath, rope and a few hooks (the hooks attach the hammock to the ceiling). 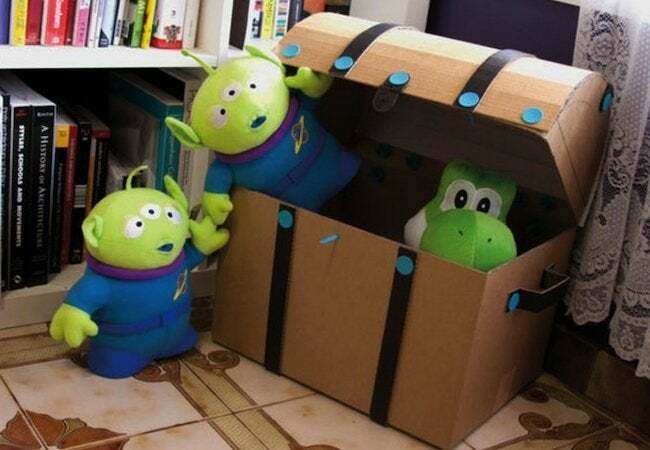 Like all the best toy storage ideas, this one actually makes organization fun. 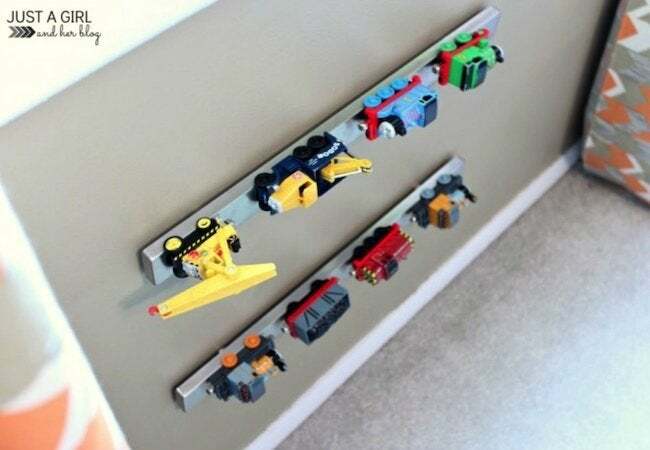 Here’s a smart, easy-DIY way to keep metal toys (miniature cars and trucks, for example) off the floor. Simply attach a magnetic kitchen knife rack to the wall at a kid-friendly height. Now, you and your little one can “hang” metal toys on the wall whenever they’re not in use. 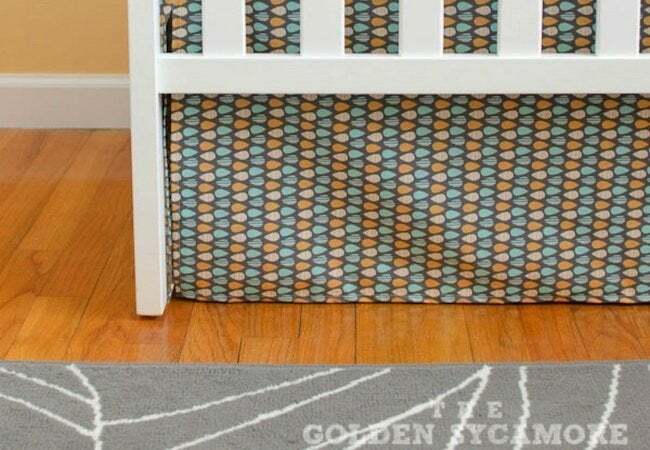 Inexpensive to DIY, nice to look at, and super practical, a bedskirt like this one enables you to take full advantage of the space under the crib or kids’ bed. You can store more toys here than you might think, and best of all, everything stays out of sight until playtime rolls around again. 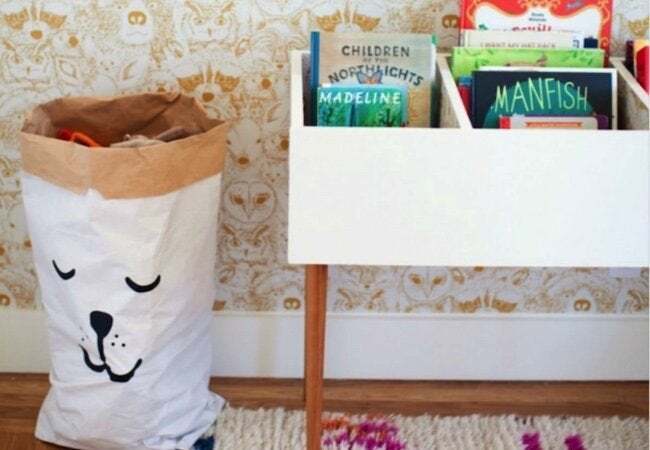 Kid-height book bins offer a straightforward, attractive means of making your child’s favorite easy to grab and (theoretically, at least) easy to put back later. If you’re handy with a saw, you can even construct your own frame, adding legs and a lick of paint to finish the job. Here’s how. Next time you’re shopping for crafting supplies, pick up some clear, thick vinyl. With it, you can sew a series of handy, see-through organizers just like these. Miraculously cheap and endlessly versatile, they’re the perfect for all those millions of little pieces just begging to go lost. 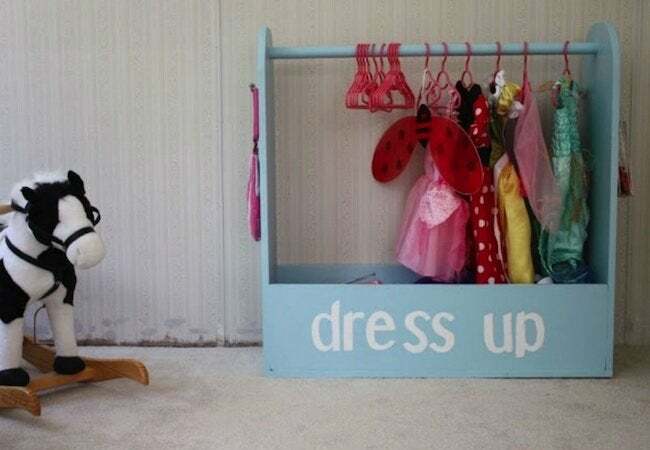 Make playing dress-up even more enchanting with this adorable mini clothes rack. Believe it or not, you can build your own version with nothing more than a few tools, a few boards, and a dowel. To finish, add paint in a bold color and to for convenient portability, a set of wheels. The practical combination of seating and secret storage has never looked as chic as it does in this unit. If you’ve got the tools and know-how, you can copy this one (or create your custom version). Not a DIYer? Don’t fret. Plenty of furniture retailers sell similar pieces, often at affordable cost. Kids may actually enjoy tidying up when this charming chest becomes the catchall for their most treasured toys. The beauty of this do-it-yourself toy bin lies in its simple construction. It all comes together with basic household goods, like scissors and cardboard boxes. Get the tutorial here. A wooden crate transforms into a portable toy storage bin as soon as you add casters, a cushion, and a fresh coat of stain or paint. 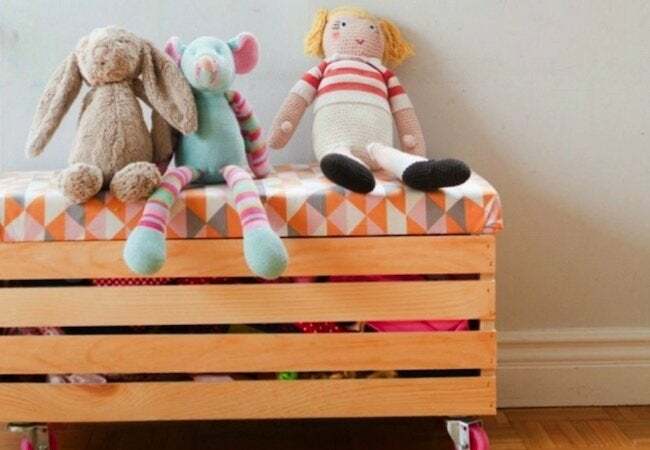 The cushioned seat—made of plywood, foam batting, and cheerful fabric—hides away playthings at the same time that it makes the crate into kid-friendly furniture. Tired of stepping on runaway Legos? 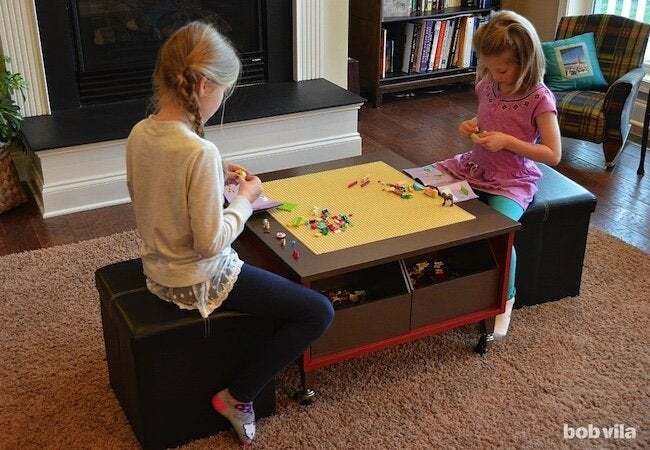 Create your own Lego-building and stashing station by upcycling an old coffee table. Hidden, built-in baskets store thousands of bricks, while the table surface itself comes equipped with a broad baseplate that the kids can build right on top of. Create your own cubby storage system! This isn’t a project for beginners. 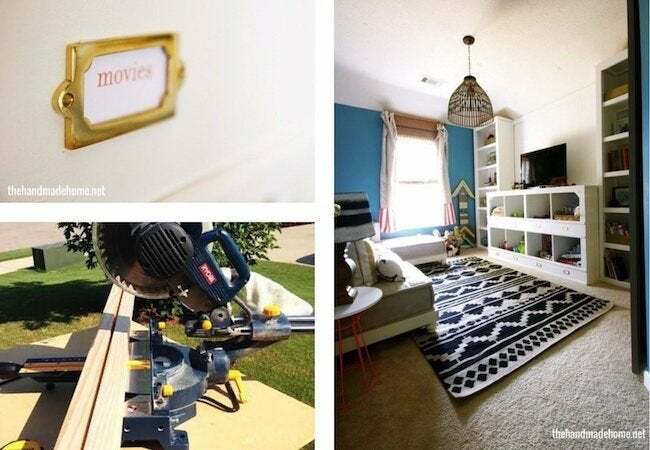 But if you’re experienced in measuring, sawing, fastening and finishing wood, you may find that it’s neither as difficult nor as expensive as you thought to build a storage-packed, room-changing wall unit.